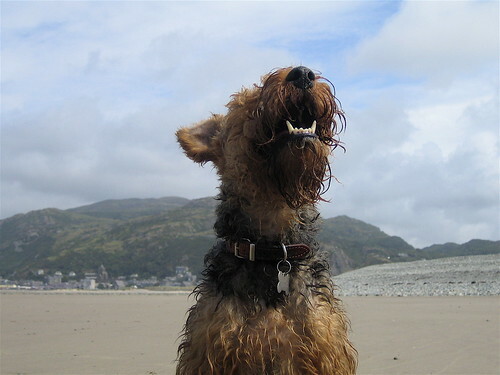 Barmouth grin, originally uploaded by Edwyn UK. We are very happy indeed to announce that it’s time to pack the dog bed, food bowls and lead and head for the hills (and beaches) of North Wales. We will be away from Saturday 26th September to Saturday 3rd October and back on the stall at Spitalfiels Market on Sunday 4th October. Follow us on Twitter if you want to hear what we’re up to! Have a wonderful time! Pack plenty of treats – some for your friends. Take lots of pics and give Taffy a big smoochie! We hope Taffy behaved himself! Without us there keeping an eye on him goodness only knows what mischief he could get up to!